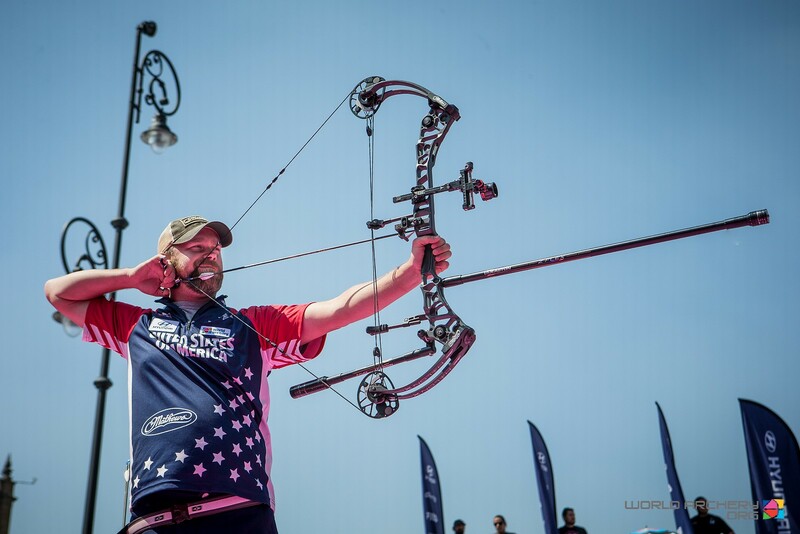 Braden Gellenthien, Kris Schaff, James Lutz, Paige Pearce, Alexis Ruiz and Cassidy Cox are the six compound archers that will represent the USA at the 2019 Hyundai World Archery Championships in ’s-Hertogenbosch, Netherlands. The squad was announced on 8 April after trials following the Arizona Cup in Phoenix. “I’m pretty excited. I’m really proud to be representing the US and am looking forward to this whole summer,” said Braden. The 32-year-old has finished on the podium at the outdoor world championships three times, accruing two bronze medals and a silver. He finished third in Mexico City in 2017. Schaff is the reigning Hyundai Archery World Cup and Indoor Archery World Series Champion. The two veterans are joined by a first-time international in Lutz to attempt to extend the USA’s incredible record in the compound men’s team event. The US is the defending world champion and has won seven of the 12 available titles since compound was introduced to the championships in 1995. Paige Pearce currently holds the World Archery Field Champion title. She and Cox return from the team in 2017, while it will be Ruiz’ debut at the senior worlds after winning the World Archery Youth Championships two seasons ago. The USA squad for the World Archery Para Championships was also announced. Paralympic Champion Andre Shelby, Paralympic silver medallist Matt Stutzman and Ben Thompson were selected in the compound men’s open category. “We had talked about the team that would like to go to the world championships because we’re chasing the team world record and we felt like the best team to accomplish that would be the three of us,” said Stutzman. Michael Lukow, Eric Bennett, Timothy Palumbo, Jason Tabansky, Lisa Coryell, Emma Rose Ravish, Lori Dupree, Martha Chavez, Erev Richards and Tink Wallace complete the line-up. The USA recurve team for the 2019 Hyundai World Archery Championships was announced last week.